Over 70+ undergraduate degrees to choose from. Applications close 4 July 2019. Your journey to new starts here. The challenges of tomorrow will require diverse perspectives and novel ideas, and an undergraduate degree at the University of Newcastle is your chance to gain insights that will launch your thinking. Whether you’re fresh out of school and ready for what’s next, or further down the road and looking to change course, studying one of over 100 undergraduate degrees will open up an incredible future for you. New is filled with opportunities—in every field, in any direction. The University of Newcastle offers a wide range of study areas to pursue your passion. Explore them and discover what excites you most. And if you can’t decide on just one, you may have the option to combine degrees and end up with two qualifications. Where will new take you? Dynamic, flexible and industry-engaged. Gain practical skills that are highly valued by employers, and have the opportunity to participate in international immersion trips and student exchange. Study what inspires you, maximise your job opportunities and expand your knowledge in media, design, IT, music, creative and performing arts, visual art, writing, publishing and entrepreneurship. We offer the only Medical Engineering degree in NSW. This unique learning experience is your chance to make medical treatment more effective, efficient, safer and more affordable. Our new 2019 program offers hands-on learning, collaboration with researchers and other industry professional, and specialisations so you can discover the type of scientist you want to be. Have questions about applying for an undergraduate course through the Universities Admissions Centre (UAC)? Grace, a current UON student, has some helpful tips. If you don’t think you meet the requirements to get straight into your degree or haven't studied in a while we provide other entry pathways to get in. 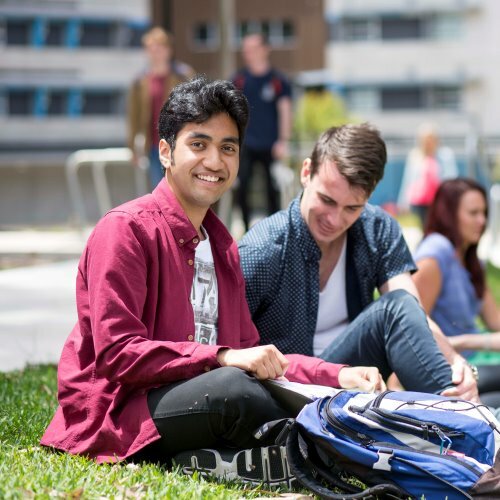 We have over 100 scholarships available which support around 1000 new students at the University of Newcastle per year. Teachers, Career Advisers and parents play an important role in helping students choose their degree and make the transition from school to university.